Composer and musician David Amram of Locals 1000 (Nongeographic) and 802 (New York City) has spent his entire life exploring a diverse range of music and “hanging out” with other musicians. 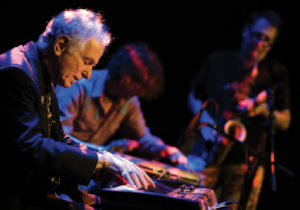 David Amram ended 2015 by celebrating his 85th birthday in grand style, with festivities in New York City, Toronto, and London, among other places. Looking back on those 85 years there is plenty to celebrate. Amram’s career has followed an odd trajectory that has had him playing French horn with a series of iconic jazz musicians; befriending and collaborating on a wide variety of instruments with classical, folk, rock, world, and country musicians; and conducting 75 of the world’s top orchestras. As a composer, he’s written 100-plus works for symphony and chamber orchestra, two operas, 23 Broadway musical scores, and worked on 20 film scores. 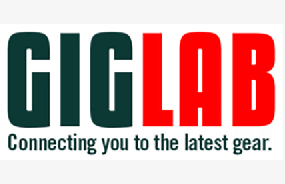 The member of Locals 1000 (nongeographic) and 802 (New York City) took the time to share his wisdom with International Musician readers. As a young musician you met and worked with a lot of iconic musicians. What do you think they saw in you? I think they saw I was very young and very eager. I understand that now because I’m very old, but I’m still very eager. When I see a young person, and I see that look in their eye, I see myself as I must have appeared as a 20-year-old. I remember all the older people, not just in jazz, but in symphonies, folk music, and Latin music, who took the time to try to guide me to feel that I could do something, and most of all, that I should respect the music first and foremost and try to be gracious to every person who crossed my path because they could all teach me a lesson. That was a blessing in my life to this very day. Now that I’ve turned 85, I realize that it’s my turn to do what Dizzy Gillespie told me I should do. When we played at his 70th birthday party at Wolftrap Farm in 1986, he said, “I met you in 1951 at your basement apartment in Washington, DC. You were then a 20-year-old hayseed, hick and now you have gray hair. It’s time to put something back into the pot.” That’s what Dizzy did his whole life. He understood that that’s what we are supposed to do in music and that’s what we are supposed to do in life. And if you do that, you feel good because you have made a contribution. You had many interesting opportunities to work with various people—Elia Kazan, Arthur Miller, George Plimpton. Can you talk about some of those early projects? There were a lot of other people in very prominent positions who probably thought I was just a nut case, but I happened to be very fortunate. I’ve met thousands of people, some that no one ever heard of, who have been enormously helpful. I was working in the US Post Office part time, working as a moving man, playing with both Charles Mingus Quintet and Oscar Pettiford’s big bands, and squeaking by, when I got a call in 1958 from Elia Kazan’s office. At first I thought it was a crank call. They wanted to get a composer for the play, JB. They had gotten in touch with about 10 famous composers, all of whom were too busy. Kazan knew that I was a budding classical composer of sorts, composing music for Joe Papp’s free Shakespeare in the Park, and was a jazz player. The same thing happened in 1966 when I was chosen as the first composer in residence with the New York Philharmonic. I got this announcement saying that 300 or so composers were being considered. I never thought they would choose me. If I made a list of all the people who never wrote back, or said no, that would be 15 times longer than anything in my bio. Do you recall the feeling the first time you heard an orchestra play one of your compositions? They were going to play my “Autobiography for Strings,” in 1959. I had never had a piece for a whole string orchestra, or any kind of a big orchestra, played in a formal concert. The feeling was that all these terrific musicians were doing something, and that I was just like the proverbial fly on the wall; it wasn’t about me. It’s the same feeling I had when my kids were born. Suddenly, there’s something else that you helped to get started and you hoped that it would have a life of its own. You are one of the most versatile composers/musicians ever, comfortable in jazz, folk, and classical worlds. Is it difficult to “fit in” in all those scenes? I think that was an issue probably for most of the 20th century, but now, with the availability of YouTube, today’s young people are able to see, hear, study with master Middle Eastern tambourine players; South American pipes players; Afro Cuban, Puerto Rican, and Brazilian percussionists. Each of whom have hundreds of different styles in their cultures … I was called a pioneer of world music, but I’m not. I just have been, and always will be, interested in all kinds of music that touch my heart. Most of my life I’ve been a full-time student in the university of hangout-ology, where, if you are sincere and you can say, “please” and “thank you,” that’s all the tuition you need. Conversely, if someone gives you the cold shoulder, have compassion for that person, but hang out with somebody else. The thing that really appeals to me about music isn’t about the lifestyle, it’s about the music and all those blessings the music brings to you and all the people you can meet and things you can do. I never have writer’s block as a composer because I have enough inspiration from all the terrific people I’ve been surrounded by. I have a few hundred years of stuff to write. How important is it for young musicians/composers to put themselves out there and get to know others? I think the most important thing is to be around music, not just for networking, but for spiritual, musical, intellectual, social survival, and to realize that small is beautiful. [That’s] what Charles Mingus told me on the first night I played with him. Half the people in the Café Bohemia were either asleep, nodding off, or listening to their transistor radios … Mingus would have to fight to get paid at the end of the week. But, he said, “No matter how ratty the joint, every night with me is Carnegie Hall.” Conversely, years later, when I did play Carnegie Hall, it was so much easier, because Mingus made me understand that the challenge was to make everybody at Carnegie Hall feel like they are in your living room. 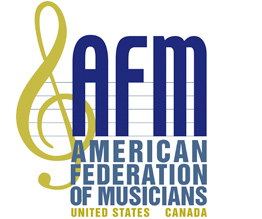 Why is AFM membership important to you? I think that ever since Ronald Regan trashed the air traffic controllers and made it fashionable to ignore over 100 years of hard struggles, and sometimes even the loss of life, to give people some kind of a decent reward for their lifetime’s work, a lot of people use that as an excuse to exploit others into doing what they now call outsourcing—taking work to places where people are still in almost a slave labor economy. And I always found it disturbing that something musical, created in the United States, would become part of that outsourcing process. So when I do the very occasional film score I always request that it be done in the United States through the musicians union. How did your Woody Guthrie project come about? I met Woody in 1956. We spent hours talking about all of his experiences traveling, when he shipped out to sea, the places he traveled across the US, all the kinds of music, and people he heard, from the time he was brought up in Okemah, Oklahoma, to his travels around the world. He loved New York because you could have the world all in one place. He described how he used to walk through all the different neighborhoods and hear all the languages, the food, and all the different people and the fantastic music in those communities. Decades later, Nora got in touch with me and said that the Guthrie Foundation was taking thousands of his poems and lyrics and having different people set them to music and they would like to have a classical piece. She said we had to use “This Land,” his most emblematic song. She asked me to reimagine Woody’s travels from when he left his hometown of Okemah. It came out beautifully and Symphony Silicon Valley gave a wonderful premiere performance. Is it difficult to conduct your own music? Not if you remember that, when you are conducting your own music, it’s not your music anymore. It’s everybody’s music who’s playing it; you are there to help out the situation. Hopefully, the musicians will find something in the music that touches their hearts and they can then put their own creativity into what’s down on the paper. Rather than assuming the dictatorial approach, I try to be a fellow musician, appreciative of being around a lot of people, most of whom play better than I ever will. If you are clear and listen, stay out of the way, and help when needed, the music somehow always tells us what to do. What is your outlook on the music industry today? Are you hopeful for its future? The music industry, like the Titanic, has sunk to the bottom because it was too big, too fast, poorly administrated, and did not serve the needs of the customers. All of us who are in it—lifers in the music field—are in the rowboats that didn’t go down with that ship. We are going to shore for our next gigs and we are not going away. That’s the thing that’s so encouraging today. Those of us who love it and those who love to listen are now forming our own relationships. It’s a new day and a better one. There are so many phenomenal young musicians, composers, conductors. When I go to schools and colleges they say, “Mr. Amram, your egalitarian attitude certainly is refreshing, but don’t you realize that, according to demographics, there are too many performers, composers, conductors, and not enough opportunities, and it’s a hopeless situation?” I always respond: “There are never too many sunsets and there’s never enough beauty.” I also tell the kids that what you do to pay your rent has no bearing on your value as a musician. Secondly, in our society, what you deserve and what you get have nothing to do with one another. And third, if you feel you were put here to do something and that is your calling, then regardless of all setbacks and struggles, do it anyway. I think what we lack in today’s world is older people remembering that part of our gig is not to make younger musicians, composers, conductors, and soloists love us, but for us to show that we love them and we are all here to put something back into that pot. What can we do as musicians to help ensure the health of our industry? We should all continue to work towards keeping quality music of all genres in our public schools. Just as certain people in our society are trashing unions, they are also trashing public education. Part of our gig is to be advocates for all music. What Leonard Bernstein told me in 1966, when I was the first composer in residence for the Philharmonic holds true today. He said, “David, your job as a composer is not just to please yourself, you are supposed to contribute something to the repertoire, to be an ambassador for music.” I think that’s part of what we all somehow have to find a way to do. And, never to give up your love and enthusiasm for music. Treat all your other brother and sister musicians with respect. That’s really important. 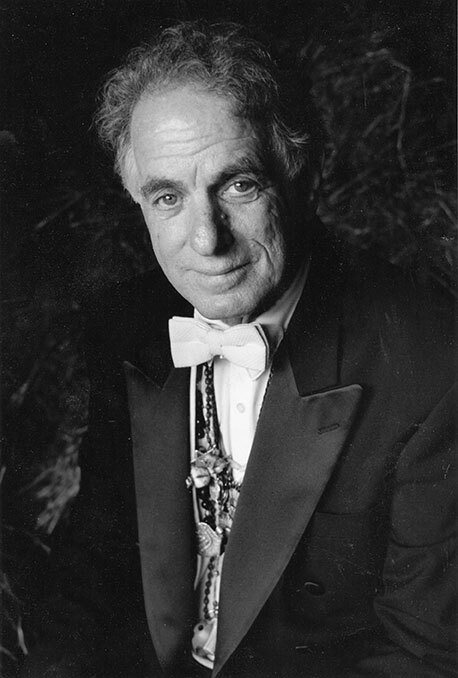 I understand there’s a new five-CD set David Amram’s Classic American Movie Scores (1956-2016). When will that be available? It highlights my music that was used in films and Broadway productions from 1956, leading up to my latest for the 2016 film Isn’t It Delicious. Some of this music never made it to the final cut of the films and is being heard for the first time. The set will be released in the US in February. In March, the Music Performance Trust Fund (MPTF) launched an uplifting documentary, Never Too Old. The film spotlights the experience live music performances create for performing musicians and their audiences as they come together at three senior centers located in New York City, New Orleans, and the Los Angeles area.